Do you know your Bandai Namco US history? 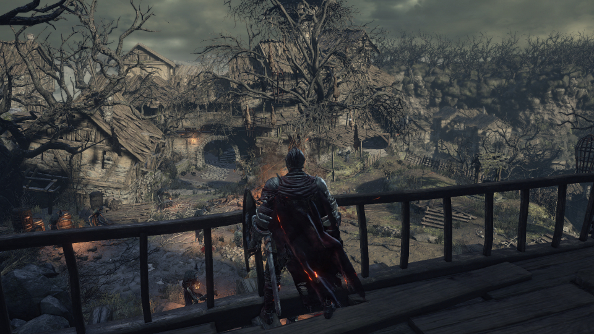 Then you’ll know that no game has sold so fast, nor rolled so swiftly, nor dodged more effectively, than FromSoftware’s Dark Souls III – a somewhat niche prospect, you would think, offering knotty level design and demanding dogged persistence. Like to learn through repetition and failure? Try one of the best racing games on PC. The publishers haven’t yet released sales figures, but have boasted of “incredibly strong first week sales” for Hidetaka Miyazaki’s return to the series as director. So much so that the second sequel has broken company records. Bandai Namco’s Europe castle hasn’t sent forth similar information. Videogamer posit that The Witcher 3’s superior sales might be to blame – Bandai Namco published CD Projekt’s opus in Europe, where it had a wildly successful launch. How has Dark Souls 3 made you feel?